Local cooperatives are offering to help you work your way out of those winter doldrums. The event is called Beat The Blahs. Friendly City Food Co-op, Park View Credit Union and the Little Grill are all cooperatives working together for the community to help beat the winter “blahs” this month. Join the event at the Little Grill on Monday, Feb. 28, 5-7:30 p.m. Activities include free massages, Spring gardening lessons with New Community Project, Food and Mood talks with Dr. Kathleen Kelly, Healing with Homeopathy with Denise Jensen and then enjoy local food and beverage treats from Little Grill, Brown Butter Bakery and Lucas Roasting Co.
Also, there is the opportunity to learn about what membership to Friendly City means and how it helps the community. Representatives from Friendly City will be available to answer questions and sign up members. Currently, they have 1,120 members and hope for a goal of 1,300 by the opening of the store later in the Spring. 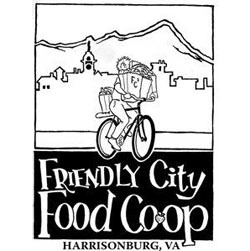 Friendly City Food Co-op is a cooperatively owned, democratically-run business that will open a full service natural food grocery store in downtown Harrisonburg. The store will promote the relationship between the food we eat, the health of the earth, and our own physical well being. Healthy, wholesome foods, organic produce, and environmentally sound, fairly traded products will be emphasized. Whenever possible, they plan to buy produce and items from local farmers, orchards, bakers, and members of the local community, thereby supporting local farmers. For more information, visit www.FriendlyCityFoodCoop.com.